This collection of 5 newly built summer houses in Iceland’s north is well placed to offer guests magnificent views overlooking the vast plains and distant mountains of the Skagafjordur valley. 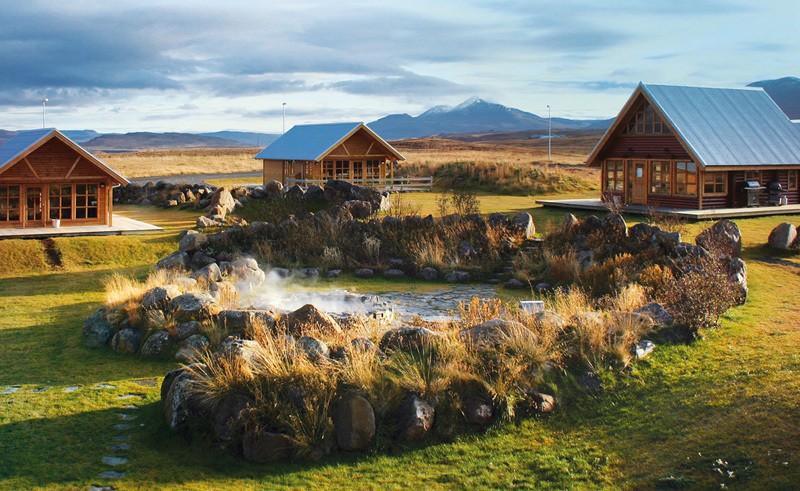 A serene corner of northern Iceland, there are plenty of activities to keep busy and a myriad of ways to explore the area, while these cosy, chalet-style retreats form a relaxing getaway to come home to. Found within easy walking distance of the centre of Varmahlið, and less than 1km away from a horse riding and rafting base, you will not be short of activities, if you so choose. In town you will find all the services needed, including tourist information, groceries, restaurants, a petrol station, a bank, a swimming pool and a post office. There are different styles of cottages, each equipped a with full, self-catering kitchen and dining facilities, a bathroom and shower, beds and linen and a simply furnished living area. They range in size from studio-style bungalows (2-4 people), to spacious, multi-room retreats. Should you wish to accommodate more than the suggested number of occupants, the owners will be happy to make arrangements.